Compost tea is a natural, liquid fertilizer made from finished compost and water. A brewing process is used to increase microbe growth and create a nutrient- and microorganism-rich tea for use on plants and trees. You can purchase compost tea at garden centers or online, purchase compost tea bags to steep in water for a quick version of compost tea, or make your own using compost that you purchased or made in your backyard compost bin. The most cost-effective option, of course, is to make your own, which you can do with or without the added expense of a compost tea brewer or an aeration device. There are two common ways to use compost tea: spraying it on the foliage of plants or introducing it directly into the soil to nourish the root systems. If you are using the compost tea to water and fertilize your plants by pouring it over the soil, you do not need to dilute it. However, if you are using compost tea in a spray bottle or garden sprayer, you will need to dilute it to a solution of about three-parts compost tea to about one-part or two-parts water. Spraying compost tea on the leaves of your plants can help reduce some diseases and allows the plants to absorb the nutrients through the leaves and stems. When poured or sprayed onto the soil, compost tea adds nutrients and microbes, improves soil structure and can help ward off soil-based diseases. Whenever you spray anything on your plants, it is best to do so in the morning. This allows your plants to absorb the nutrients before the liquid evaporates and allows the leaves to dry before nightfall. If you are not able to spray in the morning, the next best time is in the evening. Spraying your plants in the evening does increase the chances of fungus or mildew, but it avoids scorching the leaves, which can happen if you spray your plant in the middle of the day. 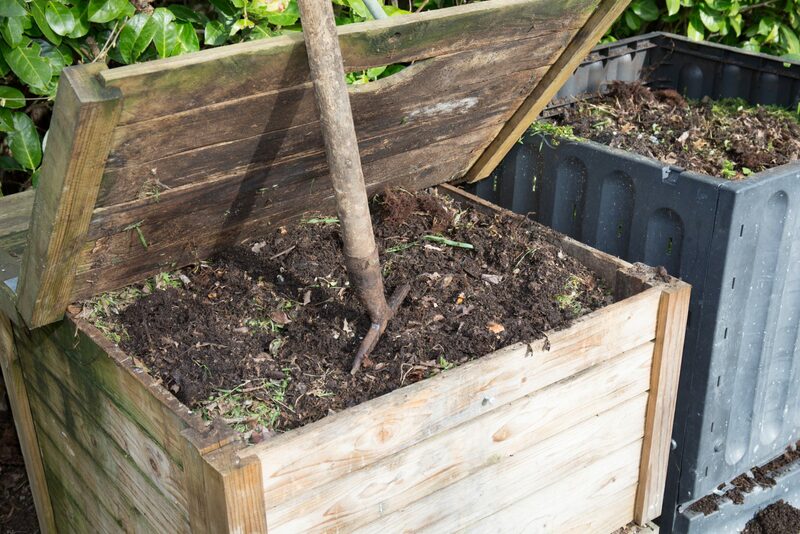 If you happen to have some compost tea handy when you are transplanting plants into larger pots or garden beds, you can dunk the entire root ball in the compost tea to give your plants a boost before planting them in their new home. You can make compost tea with or without aeration, but with aeration is the far superior method. This provides oxygen to the aerobic organisms you want to help flourish during the brewing process. To use the aerated method, you can either purchase a compost tea brewer or you can make your own. If you choose to make your own brewer, you will need a five-gallon bucket, an aerating device and something to strain out the compost, such as burlap or cheesecloth. Alternatively, you can create a sachet for your compost (think: tea bag) with burlap, cheesecloth, an organic cotton pillowcase, or mesh bag. It is also a good idea to have a thermometer, such as an aquarium thermometer, to keep an eye on the temperature of your brew. While it is not absolutely necessary, you can also add two tablespoons of molasses to feed the microbes, and you can make additions like fish hydrolysate or seaweed powder to enhance your tea’s fertilizing effects. Once you have gathered your compost tea brewing supplies, here is a step-by-step guide on how to make compost tea. 1. Fill the bucket with water. If you are using tap water, leave the bucket out for at least one full day to allow the chlorine to break down. Chlorine will kill the microbes, so this step is essential. 2. Fill your tea bag material with four cups of finished compost. If you are adding fish hydrolysate or seaweed, you can also place these materials in your sachet. 3. Place the sachet in the bucket of water. 4. Add two tablespoons of molasses to the bucket. The purpose of this is to add a sugar source to provide food for the microbes, so you can also use pure maple syrup or agave syrup if you do not have molasses on hand. 5. Place an aerating device, such as an aquarium pump and an air stone, in the bucket. 6. Allow the compost tea to brew with the pump turned on for 24 to 36 hours. If you used a sachet for your compost, you can now spread that compost around your plants or return it to your compost bin so that it does not go to waste. If you do not have something to use as a sachet, you can also simply add the compost directly to the tea, and then strain the compost out of the tea using burlap or cheesecloth. It is best to use your compost tea within a few hours after you turn the pump off. If you cannot use it the same day, you can store it in sealed containers for up to about four days. After that, dump any remaining tea out away from your plants. Once you get the hang of it, have played with the ingredients to find the recipe you like and know how much tea you can reasonably use at one time, you can begin to make bigger batches in a larger container. 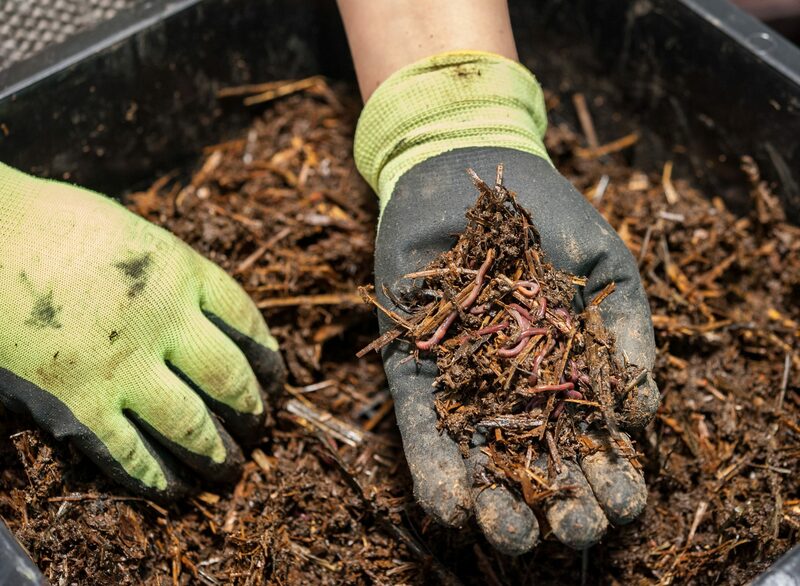 While it is better to use an air pump to ensure your microbes get sufficient oxygen during the brewing process, you can also make compost tea without a pump. To make compost tea without a pump, follow steps one through four above. Then, instead of placing a pump in the bucket and turning it on for 24 to 36 hours, you will leave your bucket out to brew and stir it a few times each day. Whether you use aeration or not, it is important to be aware of how your compost tea smells. It should smell earthy and may smell a bit sweet or yeasty. This is good. If it smells bad, this means it may not have had enough aeration, which allowed bad bacteria to grow. In this case, you need to dispose of it away from your plants and start over.